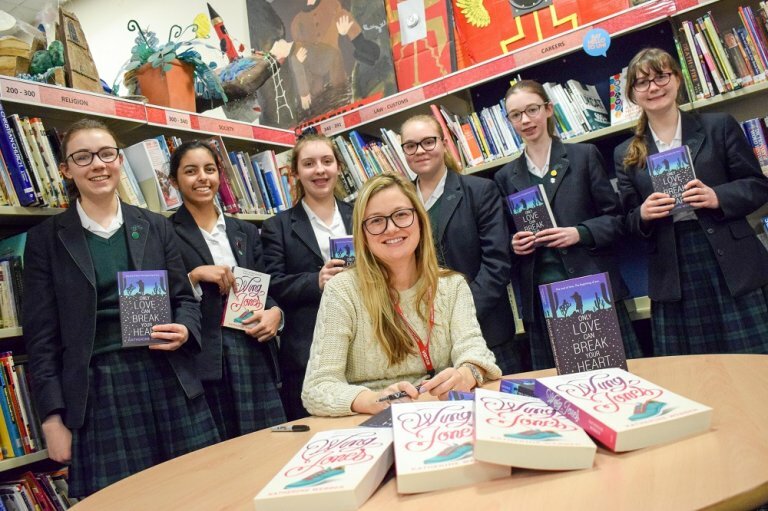 Author Katherine Webber gave our Year 9 students some top writing tips as part of a talk to promote her second novel. This was Katherine’s second visit to Derby High and this time she came in to talk about her latest book ‘Only Love Can Break Your Heart’. Sue Bussey, library resources manager, said: “Katherine gave some sound advice about the struggle to achieve what you really want in life and how difficult it can be, plus, how to rise above perceived failure and rejection. Her new book deals with some very difficult concepts about how we see ourselves and how we deal with grief and relationships.